As Christmas holidays still continue for a second week, some sizeable progress can be observed on my Harlem Station fleet. As I previously mentionned, the program is plagued by several issues and setbacks, nevertheless, it is still moving forward. Let's take a look at the most recently completed cars. 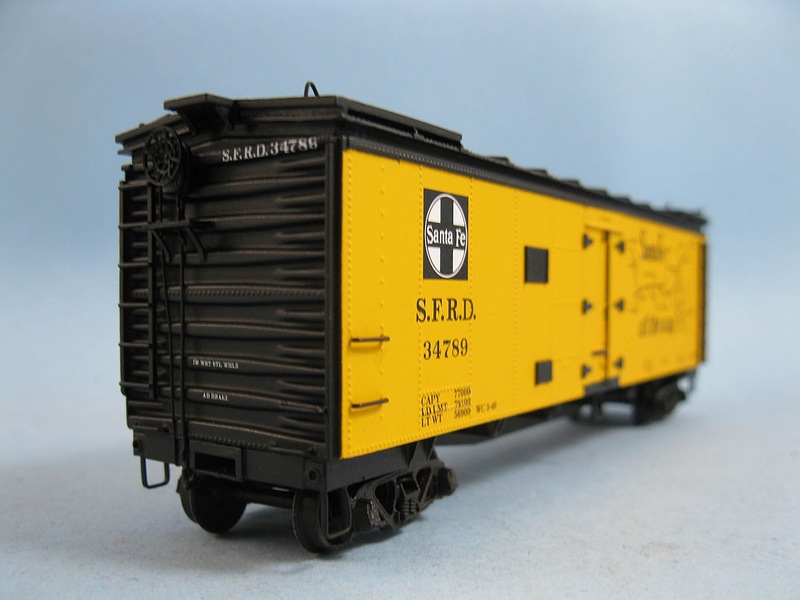 C&BT Shops SFRD reefers are now almost completed. Paint and details are done, lettering is progressing. 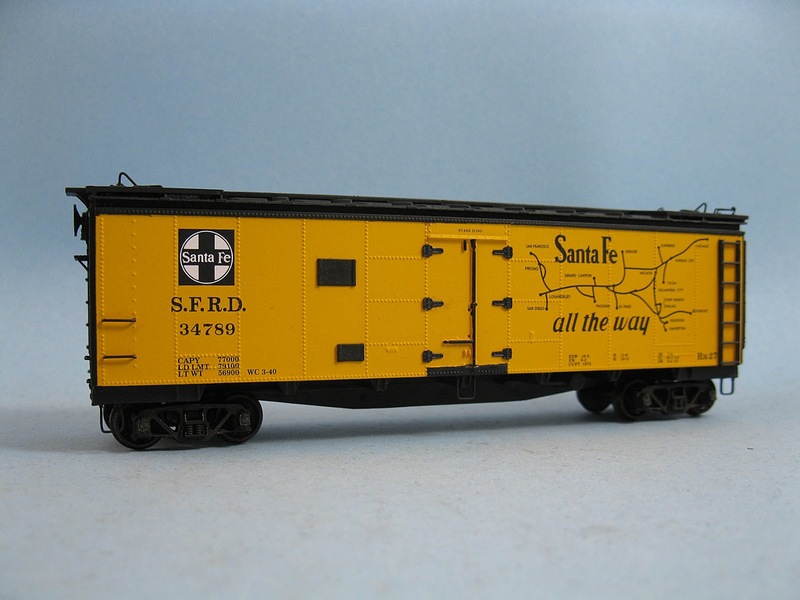 The first car was lettered using the old SFRD paint scheme with the slogan and curved lines map. 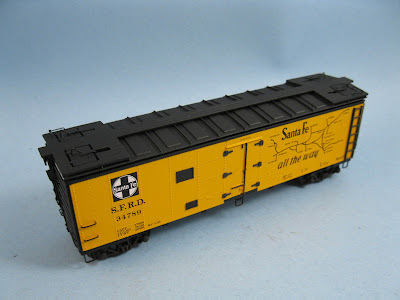 Most of these cars were repainted by 1952, so I decided to get more modern decals to complete the second car. The older one will probably be buried under a generous coat of weathering later. 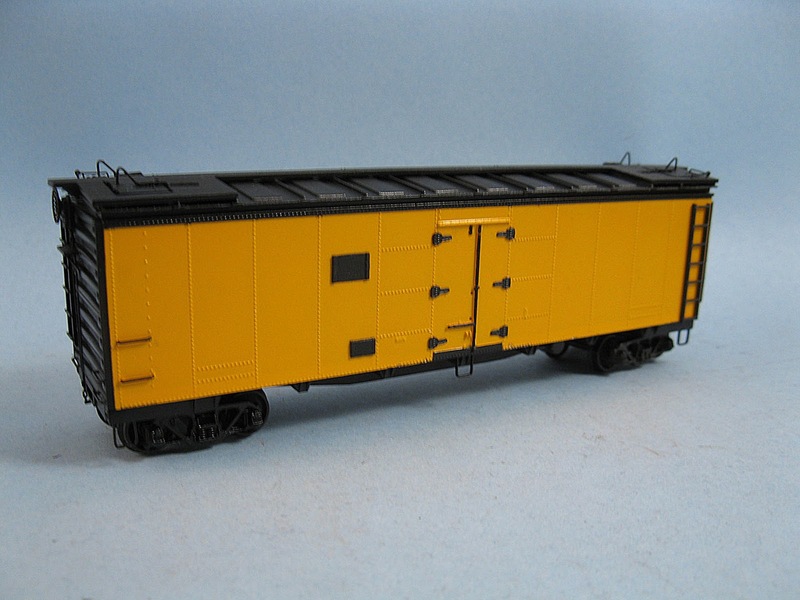 While we can complain - and I did - the C&BT reefers are far to be the best option available, with some care they can be turned into nice looking models. I wouldn't do it again, but I certainly won't shy away operating them on the layout. 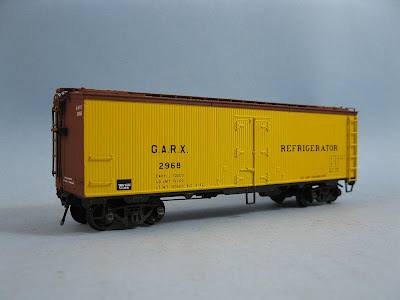 Rapido GARX 37ft meat reefers were build from kits and custom painted. As usual, Rapido did an excellent job with this car. 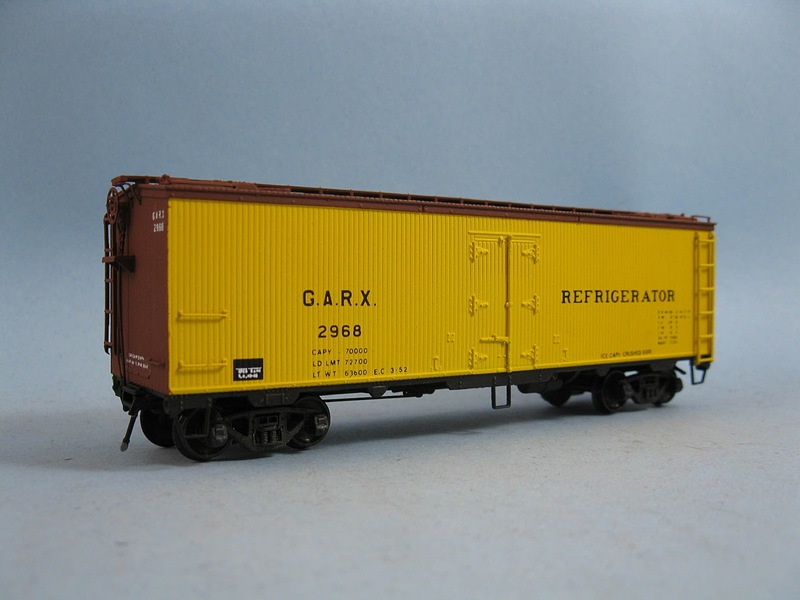 The GARX yellow reefer is lettered using Clover House dry transfer. I tried to modernize the paint scheme to better reflect the early 1950s. However, I believe the word "Refrigerator" should be spelled in gothic font but I couldn't find any useful photographic evidence. At this point, the lettering is not sealed, so I could replace the world by a custom made decal later... which I think would be a good idea. The second reefer was painted in the attractive early 1950s Swift all-red paint scheme. 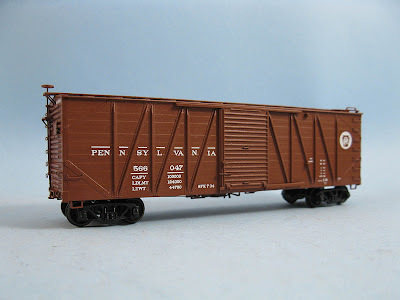 Unfortunately, I found out the Clover House dry transfer I had was made for the 1954-built steel reefer. 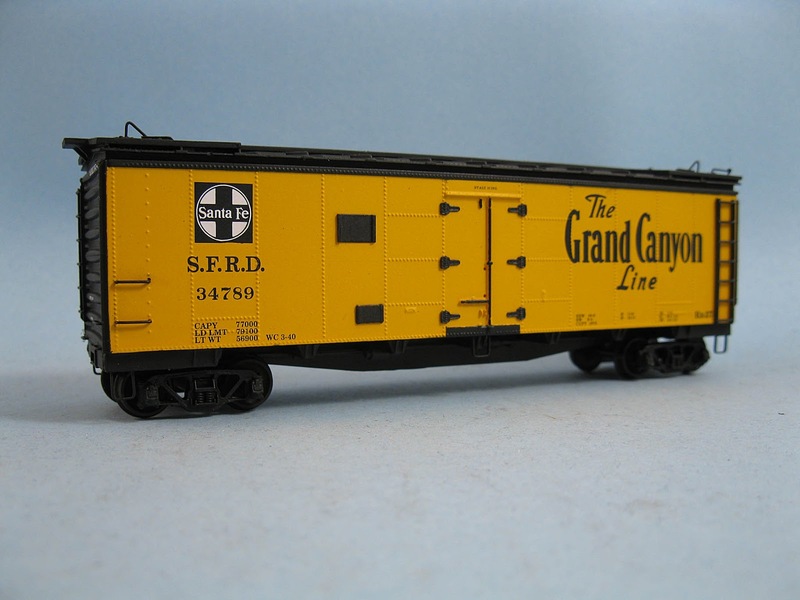 Since I model 1952, it's too late for my era, thus I ordered a a suitable set of Champ decals. I expect to letter the car with a mix of decals and dry transfer to better fit the prototype and limit as much as possible the use of Champ decals which suffer from thick carrier decal film. Kadee PS-1 boxcar is a piece of art. 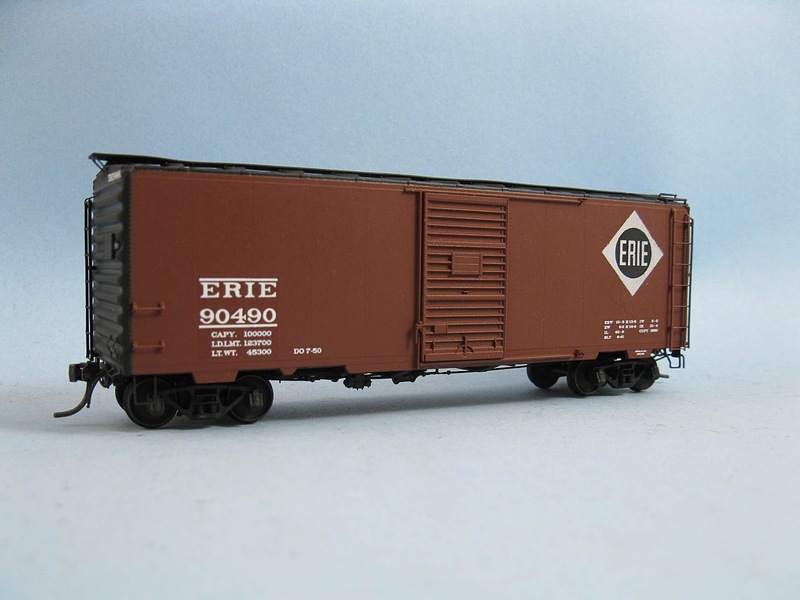 This one started as an unlettered model which I partially repainted and lettered to Erie. Unfortunately, I found out later the 90000 series was built in 1947 by ACF. Thus probably not a PS-1 car but rather a modified post-war AAR boxcar. I could end up stripping the paint and redoing it in another suitable paint scheme later on. 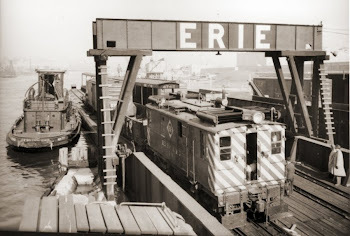 By the way, the Erie logo is a homemade decal to replace the incorrect Tichy one. If anybody has information about Erie PS-1 boxcars, let me know. 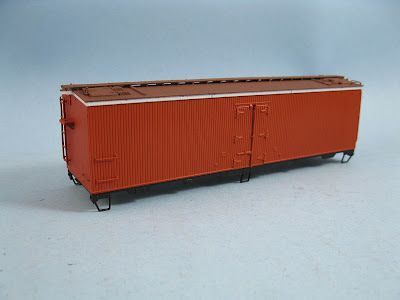 The next project are USRA single sheathed boxcars made by Tichy. 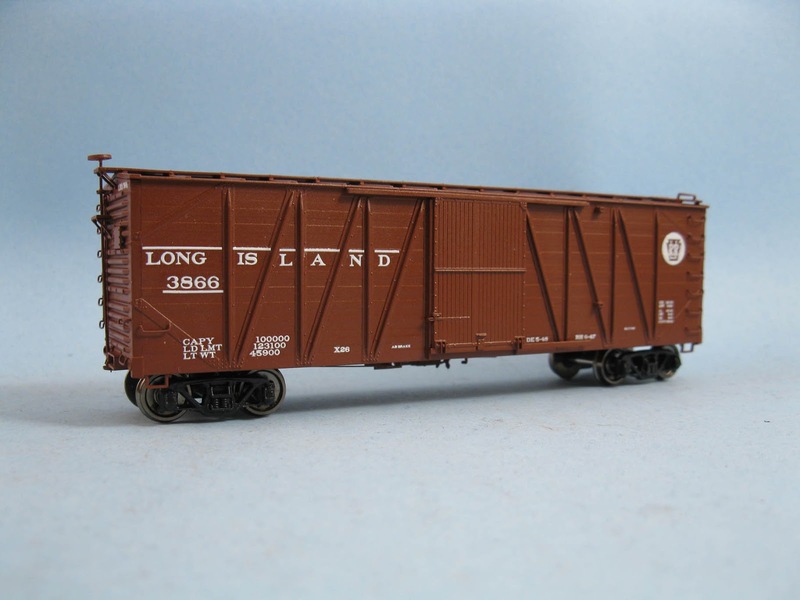 They are lettered to PRR and Long Island Railroad with doors specifically choosen based on prototype pictures. Very straightforward kits to build. The last one is a Tichy rebuilt USRA boxcar lettered to P&LE. The car itself is easy to build and looks great, however, I quickly found out the decals were slightly wrong. However, I decided to keep them for the sake of sanity. My only problem with this car was that I didn't thin enough the Future Floor Finish used as a gloss coat before decaling. It resulted in a kind of bumpy surface that made decaling harder. I could have fixed this but I was too lazy... forgetting it would be a real waste of time later... How well! As you can surmise, they are many other cars on my benchwork right now, but their completion stage isn't worth a mention here.